CreekFire Motor Ranch Is Like Home Away From Home | Be Plum Crazy! Since we started RV’ing a couple months ago, we are always on the lookout for great camping spots. My husband of course has his list of things that he wants in an RV park. Minimal trees, pull through site, concrete site, plenty of space between sites. Thankfully, we found all that at CreekFire Motor Ranch. CreekFire is a newer park located right outside of Savannah, Georgia so you are not only able to enjoy a wonderful RV community but you can get out around town to see all the great things that make Savannah so awesome. Savannah has been ranked as one of the top travel and vacation spots in the US as well as one of the most haunted – but yet romantic! There are historic areas and landmarks to visit, a great downtown for shopping and seeing the fine arts as well as the beauty of the great outdoors. That is what makes this RV spot extra special! 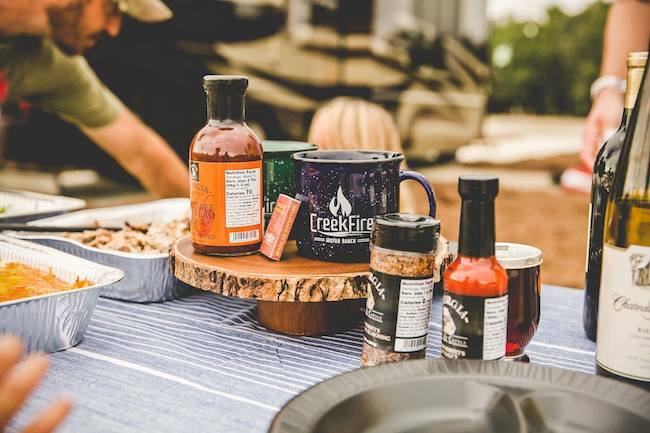 CreekFire Motor Ranch could not have picked a better spot for you to set up and experience the quiet – the history and the relaxation of one of the most beautiful parts of the country! 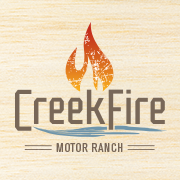 CreekFire Motor Ranch officially opened to the public on October 27. The campground combines a relaxed outdoor experience with the area’s historic spirit and Southern hospitality. 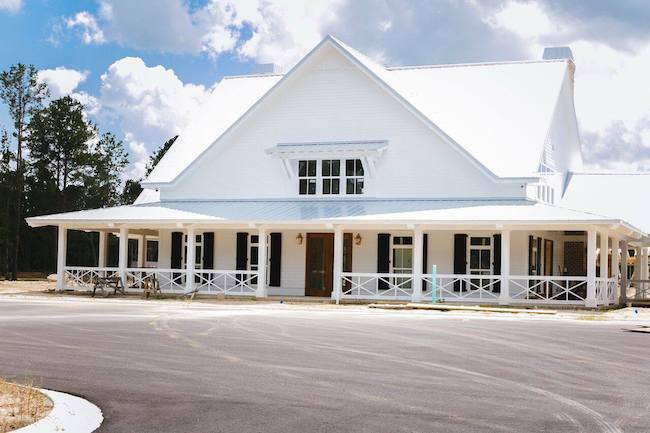 Clubhouse with front desk service, a store, computer center and more. Their resort style pool also has a hot tub, fire pit and separate pool just for the little ones. 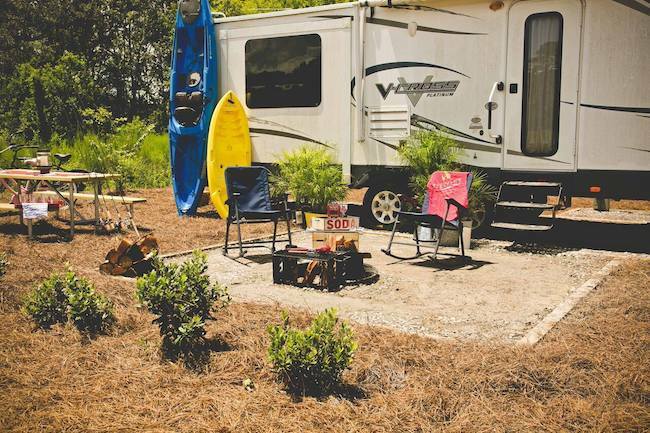 The resort and campground is 105 acres and really embraces the sense of community – they really want you to feel your “camping family” is your family when you are away from home. The sense of camaraderie they are trying to build is definitely representative of the classic “southern hospitality” feel that you get when you visit places like Georgia. We were actually pretty impressed with their website as well – it is so easy and clean to navigate and answered all of our questions! When we did contact them about availability – they were pleasant and welcoming! You can book online or call, but we like to talk to people of places we are going to so we can get the “vibe”. Definitely a place to consider if you are into the RV world! Visit CreekFire Motor Ranch to learn more or get your trip booked!